. @CathyIconis here running #QBOchat from the beach at Spring Break. I love being able to connect with you all from anywhere! Hi, Amigos and Amoebas! ? Morgan w/ ClockShark popping in from Chico, California, where we’ve seen sunshine, we’re about to see rain, but we always knew that we’d see you again in #QBOchat ? Hello #QBOChat, it’s Shuyi at Bento for Business. It’s somehow STILL winter here in Chicago. #qbochat A1 – I have a report that goes out weekly to my clients of expenses I’m unsure of. Additionally I send them a P&L each month so they can review their overall expenses. If something is higher than the period prior I flag it. — Basically work with your accountant! #qbochat A1 …and how could I forget… using @billcom ‘s Approval feature … Each expense is reviewed before being paid! 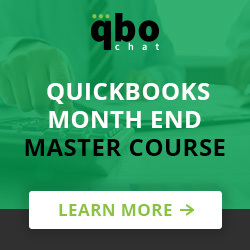 @CathyIconis More time on important stuff like #QBOCHAT! ? #qbochat A3 Constantly review your contracts.Reducing cost, & raising your price to your consumer increases your margins. I went to the nail salon the other day and they had a poster explaining why they needed to raise their price based on COGS, if they can do it my clients can! 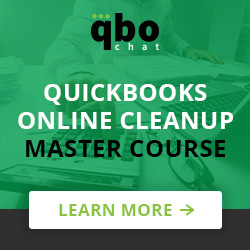 #qbochat A4 Give your staff the tools they need to be more efficient, negotiate your rent and review contracts with your phone/internet/utilities companies where possible. Use @tsheets to monitor employee time! Go remote if possible. There are so many ways! A4: outsource, streamline, automate #qbochat Hey, everyone! Hey, All. I must depart a bit earlier than usual today, but don’t fear: I’ll be back in a GIF. ? Have an excellent weekend, and I hope that deadline is looking more like a finish line for you CPA’s and bookkeepers. ? #qbochat A5 I feel like my answers are co-mingling …Use a payroll service, like @GustoHQ , to cut down on the time it takes to run payroll & use something like @tsheets to track time electronically… Having those to systems speak to each other is another time saver! #qbochat A7 prolonging Payables can really damage your relationship with vendors, slow production and possibly effect your relationship with your clients. ← What is Spotlight Reporting?